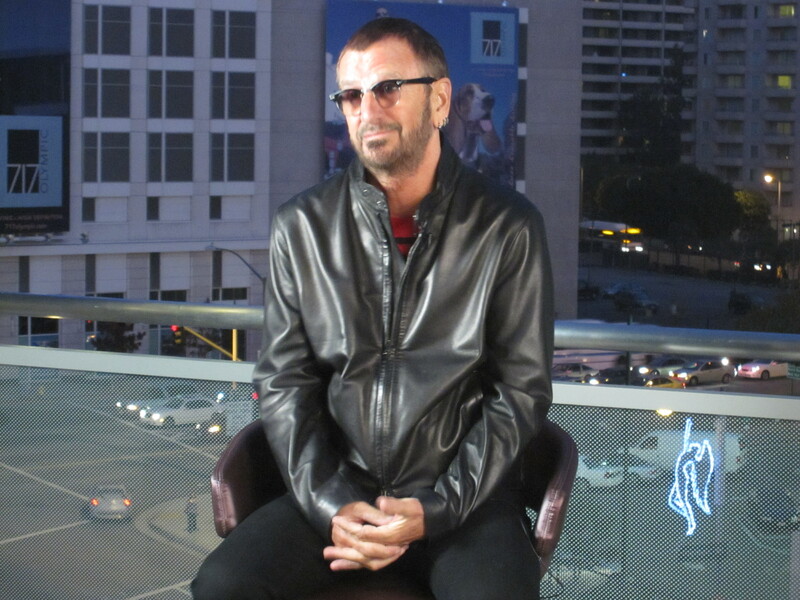 This entry was posted in LP33.tv and tagged LP33.tv, Ringo Starr, The Beatles. I definitely feel blessed every day; some days more than others. Yesterday was one of the more-blessed days. 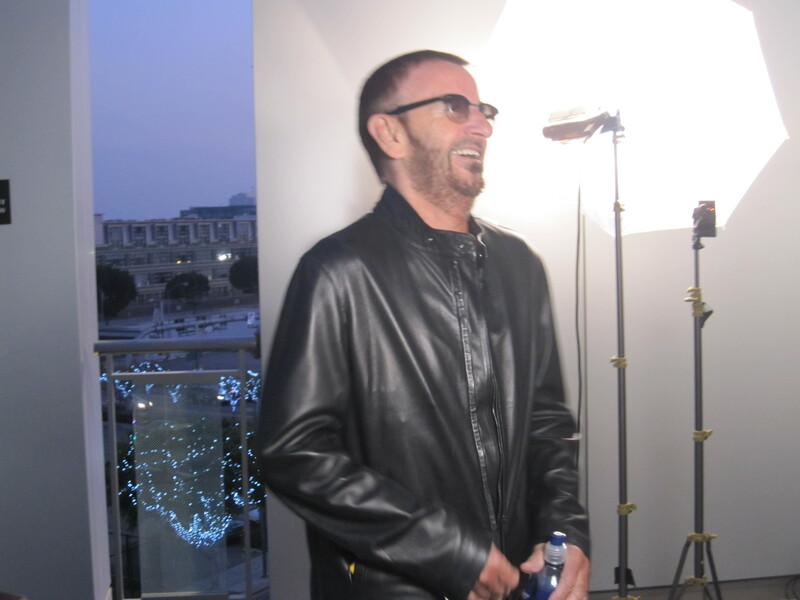 In fact, spending the afternoon with Ringo Starr goes down as one of the highlights of my life so far. We met Starr at The Grammy Museum in Los Angeles for an interview as part of a larger campaign LP33.tv is doing to support the release of his new album, Y Not. As soon as the video interview piece is edited, I’ll post it here. I wasn’t nervous to meet Starr at all. . . until he arrived. I’ve spent time with some of the biggest musicians in the world. I’ve been to recording sessions in their home studios and have had dinner with them in their second homes, but it doesn’t get bigger than The Beatles, period. And while I have seen Paul McCartney perform live on several occasions, I’d yet to meet one of The Beatles. That fact didn’t really hit me until Ringo walked through the door. He’s exceptionally charming, clever, and funny. He has that dry, intelligent sense of humor that could cause you to miss the joke if you’re not paying close attention. That’s my kind of humor. In fact, the most challenging part of the video shoot was to not-laugh out loud while we were recording. At one point, Starr said something so funny that we couldn’t hold it in any longer, and we all burst into laughter. We talked about his forthcoming album, new collaborations, The Beatles Rock Band, and something he wishes he’d never said. That’s all I can tell you about what happened. . . for now. The rest will be revealed by LP33.tv soon. That said, I can tell you what didn’t happen. I didn’t tell Starr that The Beatles is the only band I listened to during my adolescence that didn’t give my parents a headache. I didn’t tell Starr that, instead of those cheesy baby tunes albums most parents play for their kids, my aunt and uncle solely played The Beatles for my three cousins when they were growing up. I didn’t mention that, due to this early Beatles immersion, my little cousin named her first dog (a large German Shepherd) Ringo. 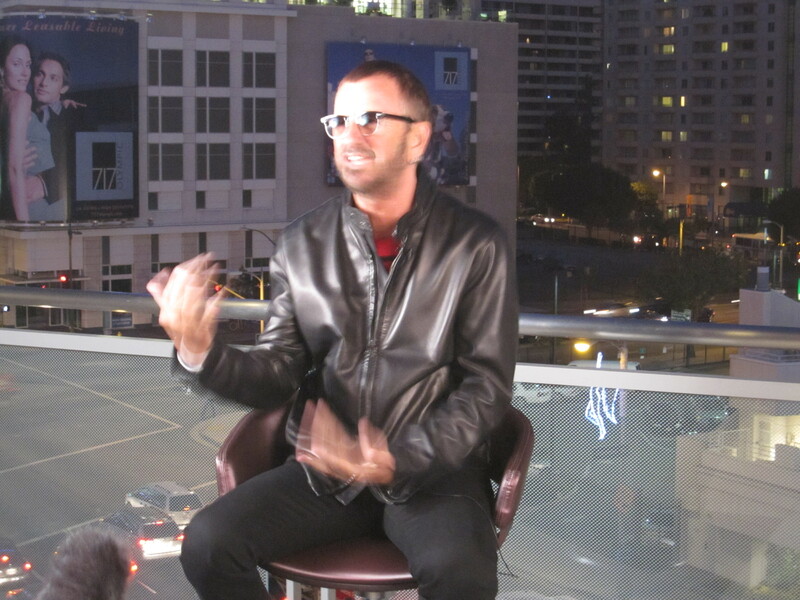 I didn’t challenge him to a game of The Beatles Rock Band although I would have liked to. Although our time together was brief, a lot more happened than didn’t happen. You can watch a little teaser from LP33.tv here. This entry was posted in LP33.tv and tagged Beatles Rock Band, LP33.tv, Paul McCartney, Ringo Starr, Walk With You, Y Not.